Had an appointment with my doctor yesterday to go over my latest labs. My PCP was called away, so I saw one of his associates. Things are going pretty well--A1C is down to 6.9, and BG seems to be under control. But my blood pressure has been running a bit high (I check it most mornings) so we added another BP med. My cholesterol levels are creeping up too, for the first time in my life, so I'm also starting a statin med (Lipitor). I now have graduated to two pill organizers--one for AM, one for PM. 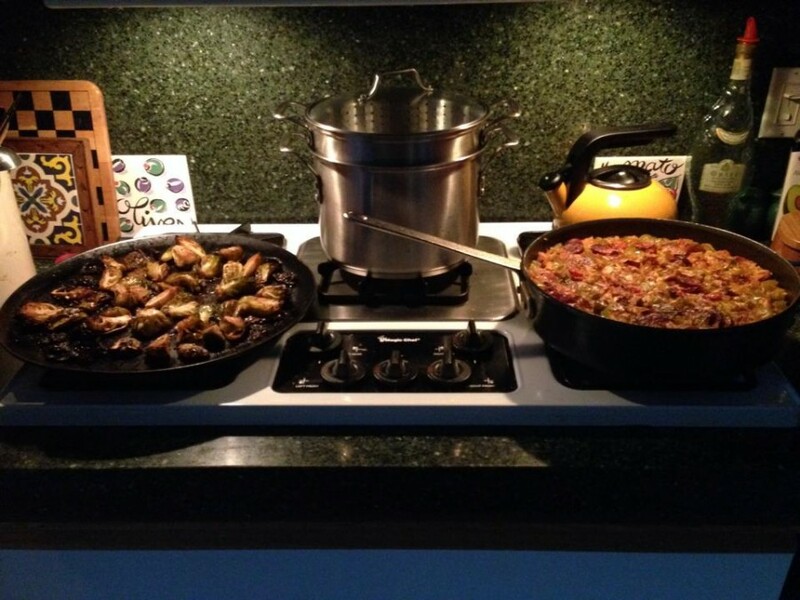 For dinner I made jambalaya and blackened Brussels sprouts. I used brown rice, so the whole thing was pretty good diet-wise. Lots of vegetables. I wish for you the very best possible results as you work on your health and fitness. Hope you get the meds sorted out to the bar minimal. Jambalaya....one of my favs..I make Paul Prudhommes' poor man jambalaya often. This is a Paul Prudhomme recipe--Chicken, Tasso, and Sausage Jambalaya. I usually leave out the ham, and use kielbasa and chicken thighs. I do the same thing with the poor man's recipe--I leave out the ham and use kielbasa instead of andouille. Sometimes I toss in some shrimp, or crawfish tails, if we have them in the freezer. And of course I make the Princess and the Frog recipe from the Disney movie cookbook...it's so us.